Why Use a Public Adjuster and When Does it Make Sense? While you may be familiar with insurance claims adjusters and what they do, you may not realize that policyholder-specific assistance is available from a public insurance adjuster. Working with a public adjuster could make a big difference in how much you collect from your insurance company. In can also help make a difficult time less stressful. In order to understand the benefits of using an experienced public adjuster, keep in mind that your insurance company’s claims adjusters are trained professionals who evaluate insurance claims to determine how much money a covered insurance loss or property damage is worth – from the insurance company’s perspective. A public adjuster is identical with one exception: a public adjuster represents YOU with a goal of obtaining a fair settlement from YOUR PERSPECTIVE. A public adjuster is the only type of insurance adjuster licensed by your state’s department of insurance to represent you – the policyholder – rather than the insurance company. Public adjusters are not paid up front; they receive a percentage of the settlement that they obtain on your behalf. If you want an efficient and fair settlement, working with an experienced public adjuster is a must. For example, many policyholders are unaware that the burden of proof is theirs, not the insurance company’s. 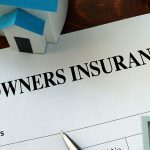 Your insurance company’s representatives are not necessarily going to search for all of your losses; it’s not in their best interest nor is it their responsibility. Your insurance company has a professional on its side protecting its interests, shouldn’t you do the same? We’re often asked about when it makes sense to retain a public claims adjuster. Most property owners can easily handle small, straightforward claims on their own. However, the larger and more complex a claim becomes, the more you need professional help. 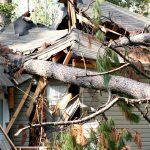 Working with a public adjuster makes sense for many property insurance claims, particularly when the stakes are high. Accurately interpret policy language, answer questions, and determine what is covered. Consider any recent changes in building codes and laws that might supersede the language of the policy. Document the full extent of your loss. Present your claims package (along with supporting documentation such as reports,detailed estimates, and professional testimony) to the insurance company. 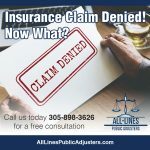 Public claims adjusters can get involved at any point ranging from the moment a loss occurs to after an insurance claim has been paid or denied — with one exception: if the statute of limitations has passed. In most states, the statute of limitations is five years from the occurrence of the damage or loss. Immediately following property damage or loss – even before you have notified your insurance company. When you feel that the insurance company’s settlement offer is not enough to restore your property to its pre-loss condition. When you’d like reassurance that you received the highest settlement possible. When your business or home insurance claim has been denied. When you uncover hidden damage after your claim has been closed. Getting back into your home or restarting your business is a top priority, but the claims process is often unduly slow. Each delay adds to your frustration – and makes an unbearable event even worse. Don’t waste another day waiting… When You Need a Public Claims Adjuster, We’re Ready – 24/7 We work proactively to show the insurance company what it owes you and why instead of allowing it to dictate the pace or value of your claim.